All collection agencies have to follow federal and state laws when communicating with you. These laws protect you and limit things like when they can call, and what the collector can say. But contingency debt collectors also have limits set by your creditor. One of those limits is time. There is indeed a sense of urgency for the contingency collector. That pressure they are putting on you to pay is also the pressure they have to beat the clock before they lose your account. This type of collector is graded on their performance (how much and how often they collect), by your creditor. The agency cares about their performance because they want to receive future accounts to collect on from your creditor. Individual collectors at the agency are often motivated by monthly quotas and performance rewards of their own. These three elements can help you understand the motivations of this type of collector, while helping you plan and prepare to resolve your debts. You usually know who you are dealing with by the most recent collection calls and letters you have received. While you can contact the last known collector, I often recommend you call your original creditor and verify with them who they have the account placed with. Simply call the regular number on the back of your credit card (or on your original statement). Your call may get routed to the recovery department at the bank, but don't expect to resolve anything with them at this point. They have a contract with the debt collector, and will provide you the name and contact phone number to the agency. Try to verify the balance owed on your account during a call like this. Making contact with you is one of the hardest things for a debt collector to do. When they do get someone live on the phone, they know they need to make the most of it. Not just because people avoid collection calls, but their agency also may be running out of time to collect from you. This is one of the reasons why debt collectors have earned the reputation of being pushy and abrupt. When you pick up a call, or make one to a debt collector, their goal is going to be to get some form of payment, or commitment to pay, during virtually every call. How you ultimately resolve a debt with a contingency debt collector is going to depend on: your monthly cash flow that can be used to make payments; the parameters the collector has to work with on their end; and even by the date on the calendar. Setting up a payment arrangement you can afford given your monthly budget is not all that difficult. And if the collector can get you set up with a payment, they often get to retain the account while your payments are being made. This means your interests and the collector's are aligned when you are actively looking for a solution. If you have multiple debts you are struggling to pay, are nervous or uncomfortable talking to a debt collector about payment options, or just want expert help, there are resources available. Before committing any part of your monthly budget to paying down collection accounts, it's important to have a complete understanding of what your household budget actually is and what you can truly afford. We speak to people every day who make promises to debt collectors that they simply cannot keep. A budgeting session with one of our counselors is free and it can really help you get a full understanding of what you can and cannot afford before making any type of payment commitment. In many instances, if you cannot commit to a monthly payment, debt collectors are authorized to accept settlements. What your debt can be settled for when dealing with a debt collector is a moving target. The amount you can save from negotiating a lower payoff will have to fit within the collector's guidelines in most cases. And you need the money available to pay any deal you negotiate in a single lump sum, or over a short period of time. You may be surprised by how simple it can be to call a collector and come to an agreement to resolve your account. If you cannot reach a deal that works for you on the first try, don't get discouraged. Try calling around the last week of the month. My experience shows that more affordable agreements are often available when a collector's or agency's monthly goals are not meeting expectations. You can set up payments with the collector before they lose your account. This prevents your account from going to another collector, or worse, being sued later. You can time your negotiations for a lower payoff with the performance goals of the collection agency. When it comes to settling collection accounts, you may be tempted to hire a company rather than do it yourself. Before you do that, I recommend you find out what debt settlement companies don't tell you. Hiring a professional negotiator can often feel like the right solution, until you calculate the costs that come with the help. 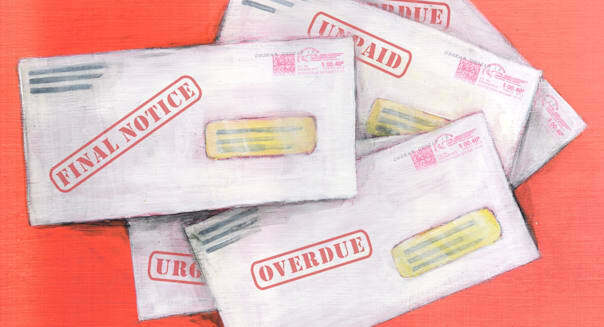 There are certainly other details to consider when dealing with debt collectors. But the basics of resolving debts at this stage of collection are not complicated. If your personal finances are still too wobbly to commit to paying off collection accounts, don't allow yourself to get pressured by a debt collector. The "best collected by" date will expire and the debt will go back into the collection pipeline. If you are committed to trying to avoid bankruptcy, there will be options to manage your debt all along the way.